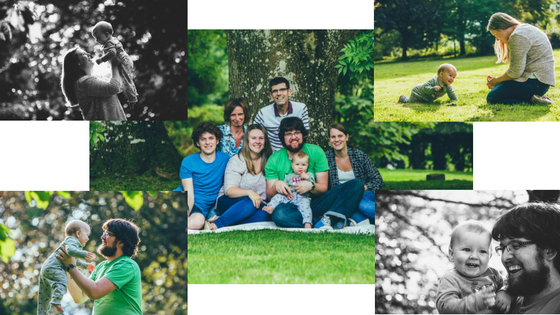 This weekend we went to Dunfield for a Clay Cross Church congregation weekend. That’s the church that Dan’s parent’s go to and the one he grew up in. We used both the house and the stables and had a weekend full of activities, crafts, sports, jigsaw, cream teas and just enjoying being with friends and family. Unfortunately it rained for most of the weekend, so we spent a lot of time sat around chatting, playing with Alfie, and playing games indoors. Dunfield is definitely known for its beauty and location so it was a shame that the weather got in the way of that! We were able to sit in the house and in the stables and watch Alfie play with his little friend Isla and enjoy watching him show off his new skills of knowing his colours! 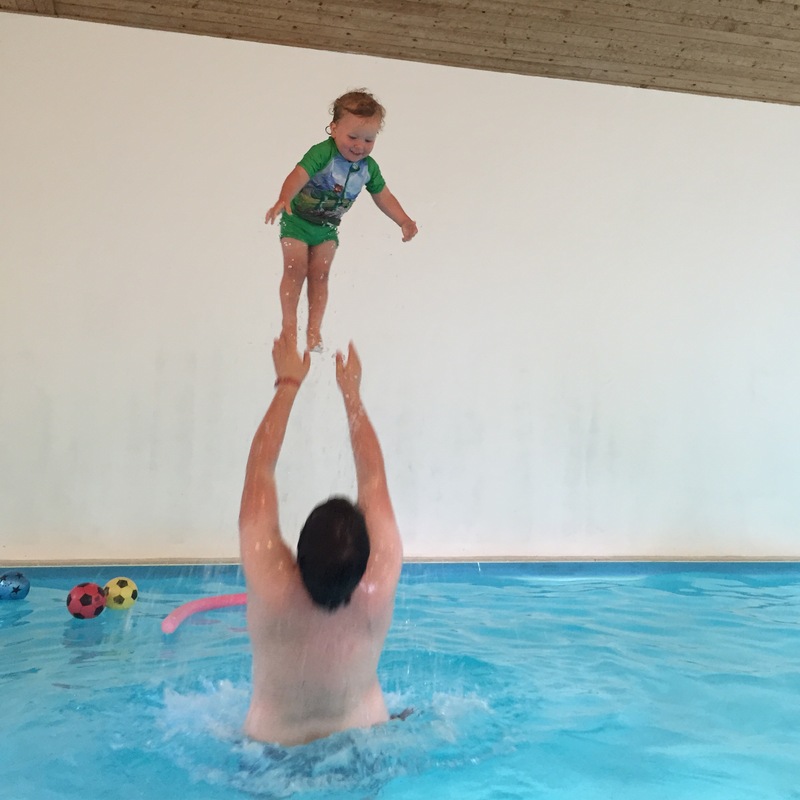 We took Alfie swimming and he LOVED being thrown in the air by his daddy and splashing back down into the water. I’ve never seen such a water baby! I’ve got to say that after him throwing him around in a similar kind of fashion this time last year, those photos are nothing in comparison… Alfie has got a bit chunkier and can’t be thrown as high now. How gorgeous are these photos that Wayne Rowe took at Dunfield last summer?! Dunfield House and Stables is a group accommodation centre just outside of Kington, Herefordshire. Standing in 15 acres of grassland, it is a beautiful place set in an idyllic rural location. Dunfield offers excellent facilities for youth, schools and church groups. They offer a fully catered service in the House and can offer self catered for up to 25 people in the stables. Dunfield has been the place for most of the church camps I’ve been too. More recently we’ve had congregation and family weekends there too! 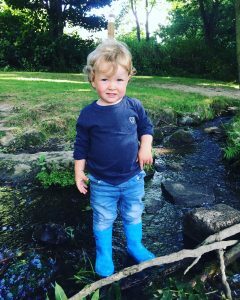 When we came for a few days in the summer holidays and we spent time down in the woods, splashing in the stream with Alfie. 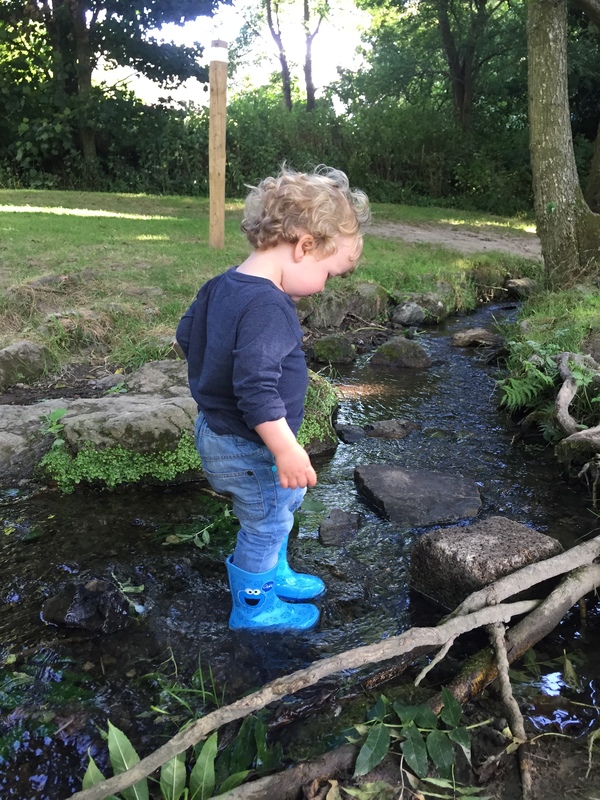 He loved walking across it in his wellies and throwing stones in! The stream is right by the park that they have at Dunfield and the “big slide” is always a big success with the younger ones. 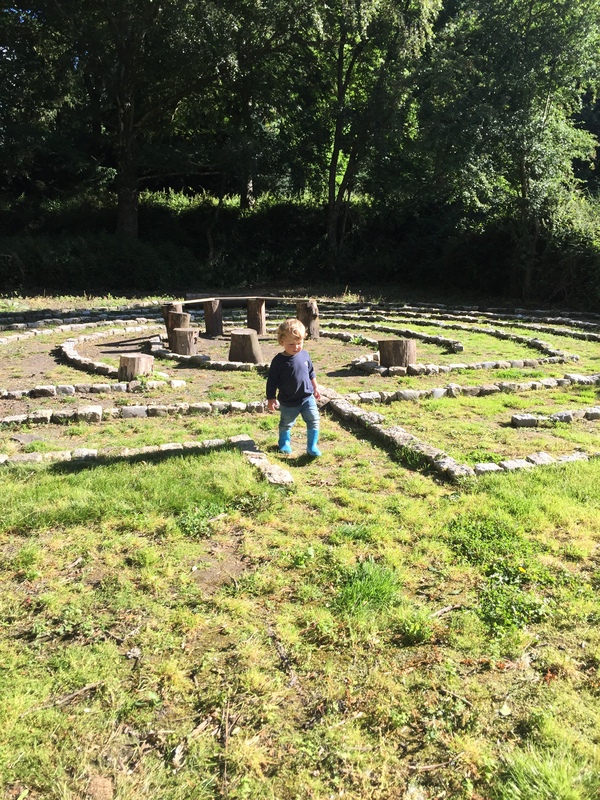 Also down in the fields they have recently created a Labyrinth. It is such a special place. 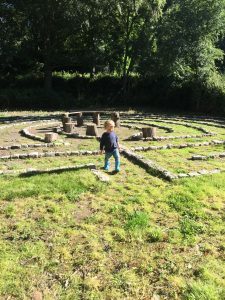 Even with a toddler in tow it was nice to walk down and walk around the Labyrinth. You get some quiet time, some time to just walk around, some thinking time. It is going to be a special place for Dunfield and I can’t wait to do it at night-time with candles or with just the star light. Talking of starlight, my favourite thing at Dunfield is sitting down at the campfire site, after singing our way through the silly campfire songs, the more meaningful songs and then looking up and seeing a sky full of stars. It is in such a rural location that on a clear night you can see thousands of stars. I’ve even seen a few shooting stars. It is a unique experience and if you get the chance to lie on the grass with no light and star gaze then do it, you won’t regret it! Dan and I have Dunfield to be thankful for, for lots of reasons. Without Dunfield we may not have had our Church camps together. We may not have met when we were younger and we may not be together now. Since we’ve been together it’s been a place where we have felt at home, where we have felt loved, where we have seen our family grow and where we have watched Alfie love and grow. The managers, Sue and Paul, are good friends of mine and Dan’s. We know them through the church we attend and we get to see them at Dunfield every time we visit. They do such an amazing job! Without you both Dunfield would not be the same. We are heading back to Dunfield for a Family weekend in December. I’m sure that will be my Fox Family Time post then too. Who knows we may even get some snow… It will be winter then after all! Have you been to Dunfield? Are you looking for a place for a school group or a chilled out weekend with friends? Have a look at Dunfield, it’s fab!